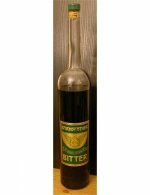 Czech absinth is known to have very little or no anise at all. 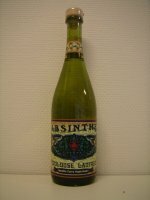 Despite the fact that absinthe is a wormwood and anise based drink. Most of the Czech products are in the "Bohemian style" category - bitter and artificial. 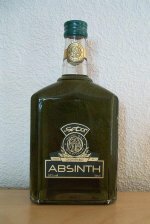 However today there are actually a few traditionally made French style absinthes coming from the Czech as well. 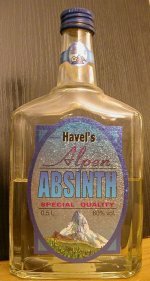 There are so many Czech absinths like this one it actually hurts. For real. Artificially colored and almost blue... The review speaks for itself. 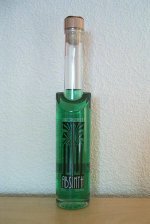 It was only a matter of time until someone in the Czech Republic would actually make a decent absinthe. The blanche Toulouse-Lautrec is a good attempt and up to 2009 this was certainly the best the Czech had to offer. 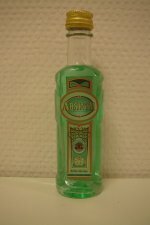 Kyle Bairnsfather, successor of Martin Sebor, continued the ways of Sebor and have created several similar absinths. 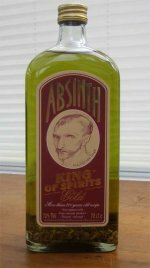 To me they're more of a decent bitter schnaps than an absinthe. 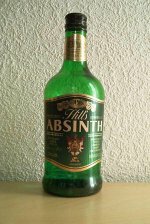 This represents the urtyp of Czech absinth. Bitter. 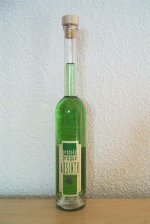 One of the more well known Czech absinths. The Staroplzcenecky (try writing that really fast) come in red and green variaties. Pretty much only with the color differentiating the two.